Even on a well looked-after driveway or a regularly washed car; dirt and grime will naturally build up over time and become hard to shift. 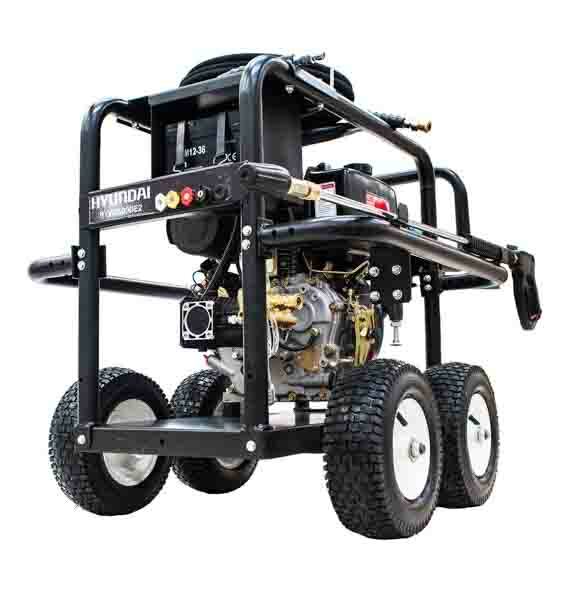 Here at SGS Engineering, we have heavy-duty diesel pressure washers available to buy online that will help you achieve the best results in the toughest situations. Built to the highest specifications and suitable for a range of industrial, agricultural and commercial environments, a diesel pressure washer from the market-leading Hyundai is guaranteed to deliver a clean surface. We’re proud to partner with the world’s best brands and we’re confident that you will find what you need, however much dirt you need to wash away. No matter which job you’re facing, there’s no surface that a diesel jet wash won’t be able to help you clean. 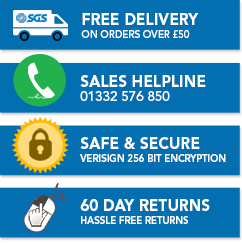 Whichever option is right for you, you can save time and money with free UK delivery when you shop with SGS. More powerful than electric and cheaper to run than petrol, with lower CO2 emissions, a diesel-powered pressure washer can help you to complete a variety of different tasks. The Hyundai HYW3600DE2 Diesel Pressure Washer delivers efficient and economical performance with a huge water flow rate of 15L/min, while also being easy to move and store between jobs. The Hyundai HYW3600DE3 460cc Diesel Pressure Washer is built for the toughest tasks, with its wide puncture-proof tyres allowing you to cover rough terrain with ease. Its low oil protection prevents engine damage too, so you can rely on it to get the job done for years to come. Whether you’re new to heavy-duty cleaning or you’re looking to update your old model, with a tool of this size it’s important to make sure you make the right decision with your money. At SGS, we have the knowledge and experience to take the pressure off deciding your next purchase. If you’re stuck between a petrol or diesel pressure washer, or need some general advice about a project, you can get in touch with our team of expert technicians in a number of ways: They’ll be happy to answer your questions over the phone, email or live chat - pick the one that suits you! A leaf blower is a powerful, time-saving tool. From petrol to electric and corded to cordless, read through your options here to find the one that suits your needs. The strimmer is a powerful and time-saving tool, but it’s important to make sure you’re using yours safely. Here are our top points to consider before you get started.